Unvaccinated children would be banned from childcare centres and preschools under an Australian government plan. Some Australian states already have "no jab, no play" laws, but PM Malcolm Turnbull is calling for nationwide legislation. Health groups have supported the push, arguing parents and the community have an obligation to protect children. An Australian Child Health Poll survey of nearly 2,000 parents showed 5% of children were not fully vaccinated. Mr Turnbull said more needed to be done, citing the case of a baby who died from whooping cough. "This is not a theoretical exercise - this is life and death," Mr Turnbull said. "If a parent says, 'I'm not going to vaccinate my child,' they are not simply putting their child at risk, they are putting everybody else's children at risk too." Vaccinating children is not a legal requirement in Australia, but failing to do so makes parents ineligible for childcare rebates. Three Australian states - Queensland, New South Wales and Victoria - already require children to be immunised, or be on an approved catch-up programme, to enrol in childcare centres. Australian Medical Association president Michael Gannon said children were more susceptible to infections. "If you, as a parent, expect the community to support you by either welfare payments or access to care, then you need to do your bit to contribute to that community by protecting other children," he told Fairfax Media. Media captionIn 2015, a measles outbreak in California was blamed on the "anti-vax movement"
The so-called "anti-vax" movement believes vaccinations may cause medical conditions such as autism, but overwhelming scientific research suggests this is not the case. 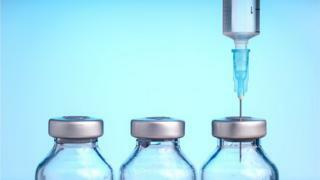 Vaccines can cause adverse reactions in a small number of people, like many medicines, but the accepted science is that the benefits far outweigh the risks. Widespread vaccination also reduces the risk of infection to those who, for medical reasons, may not be able to receive the vaccine themselves. So-called "herd immunity" is an important part of public health programmes. It stops the spread of disease by preventing an infection from moving among most people - the ones who have been vaccinated. And so it protects those few without the vaccine. But as the numbers of those without protection rises, so to does the risk to each of them - something which happened alongside the first death from measles in the United States in 12 years.